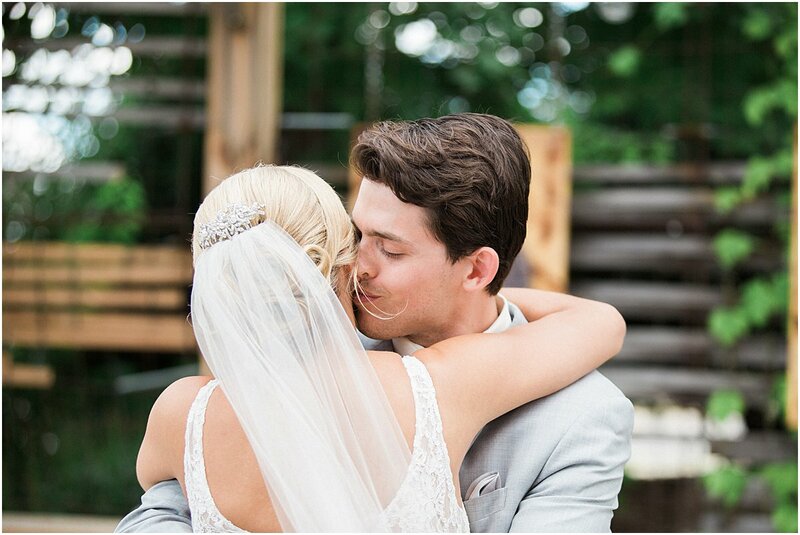 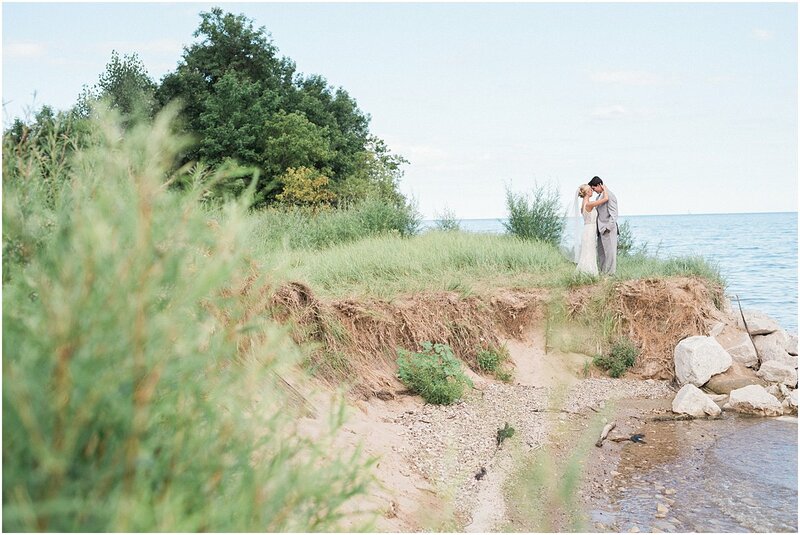 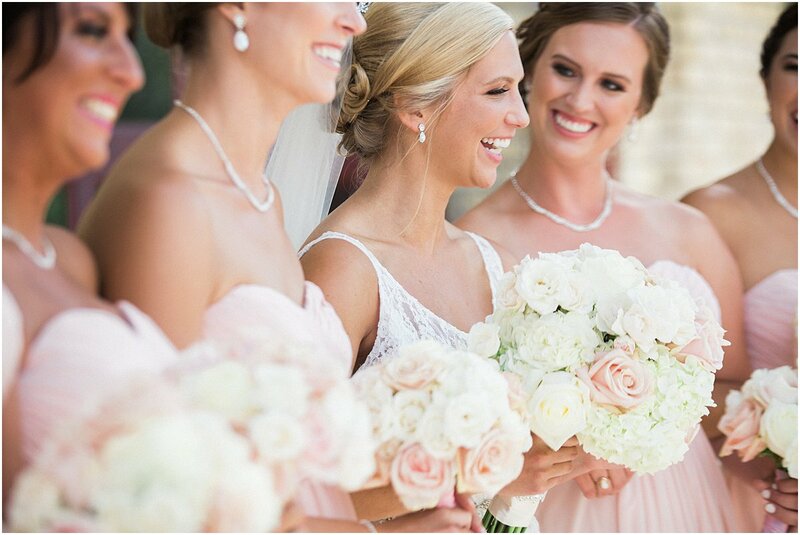 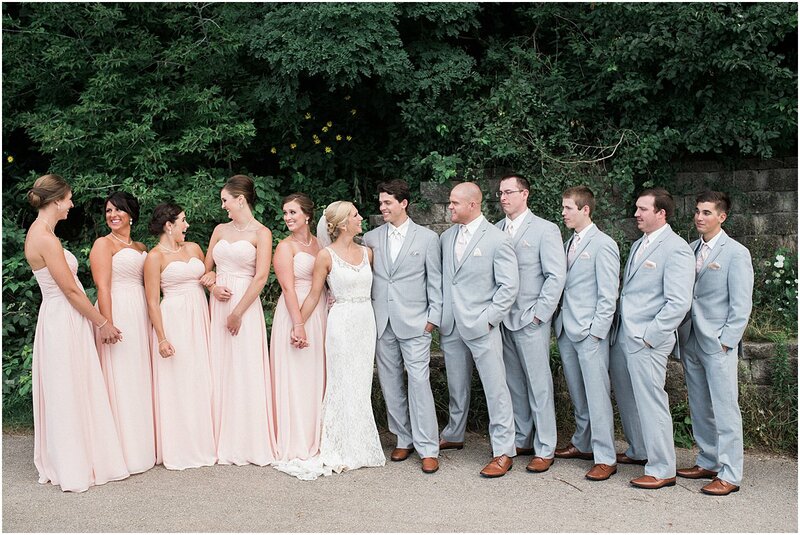 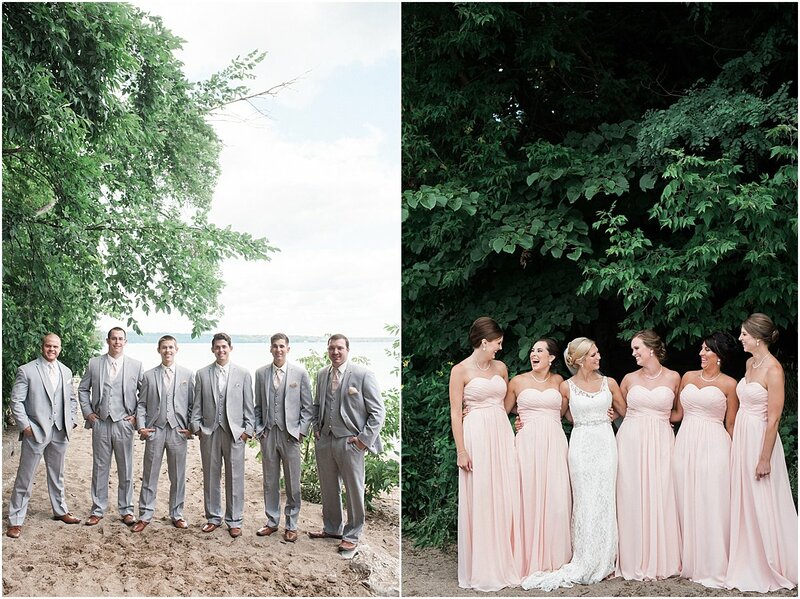 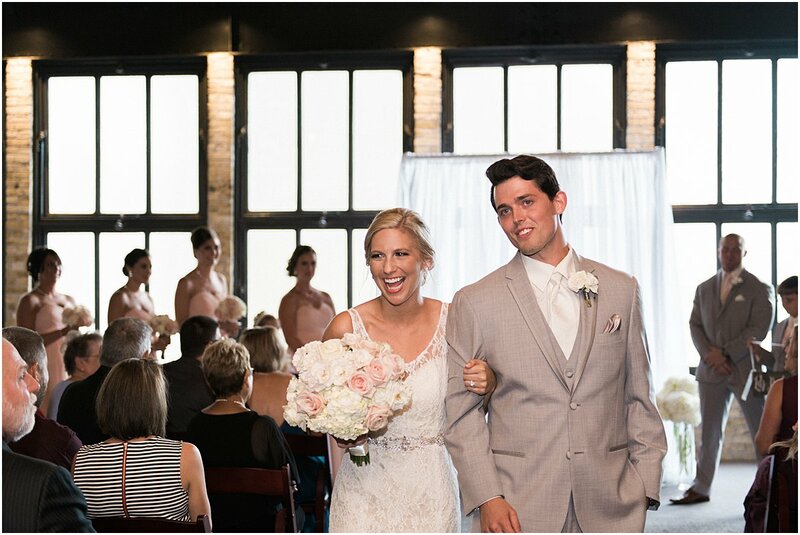 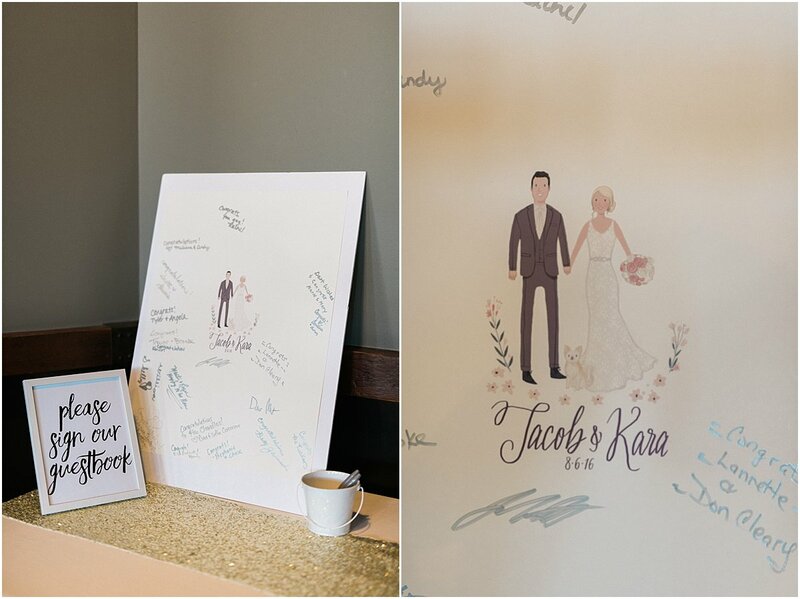 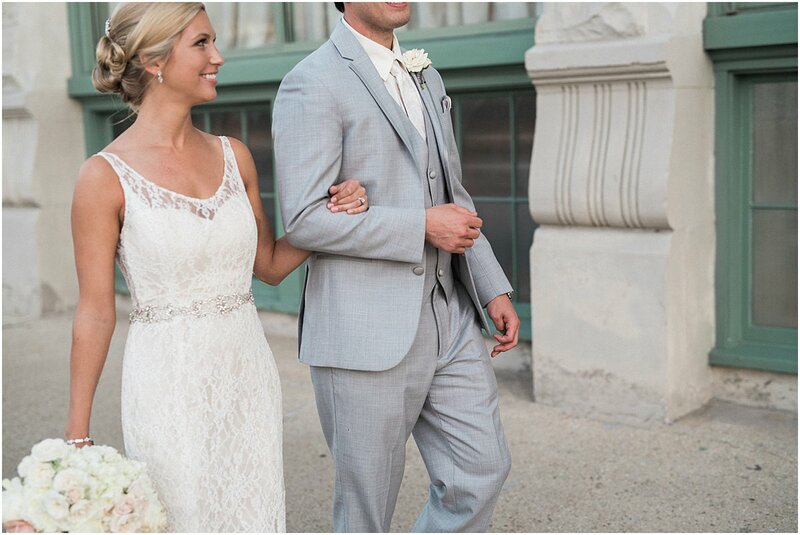 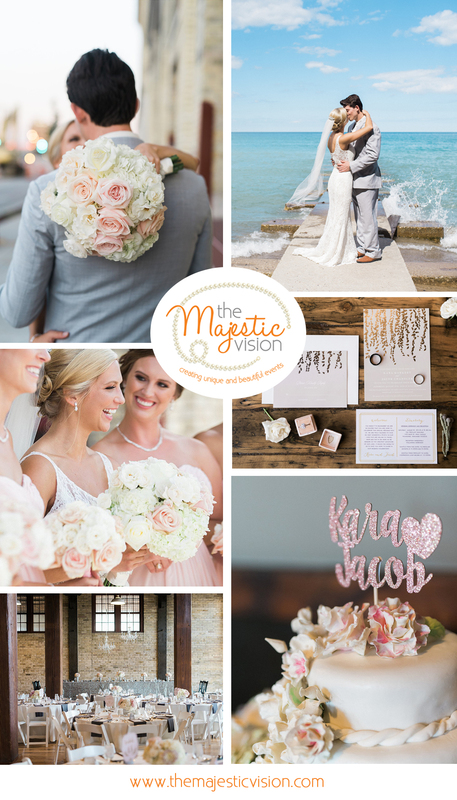 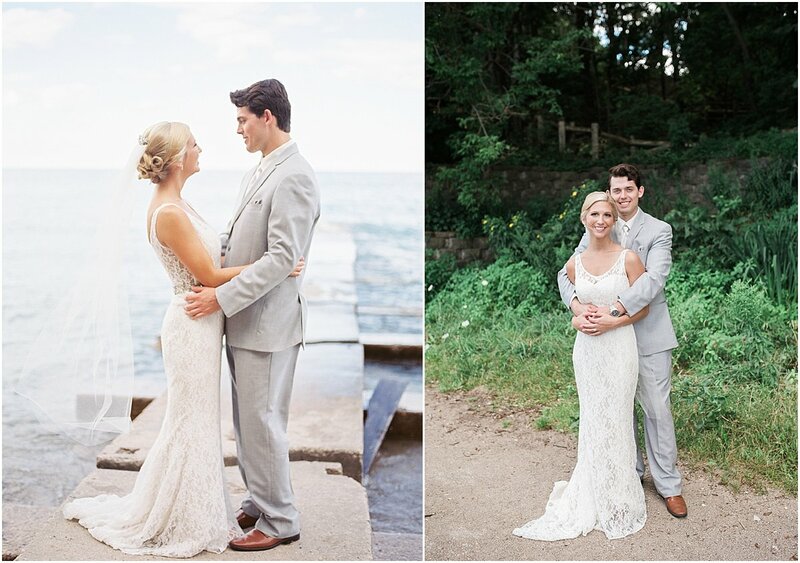 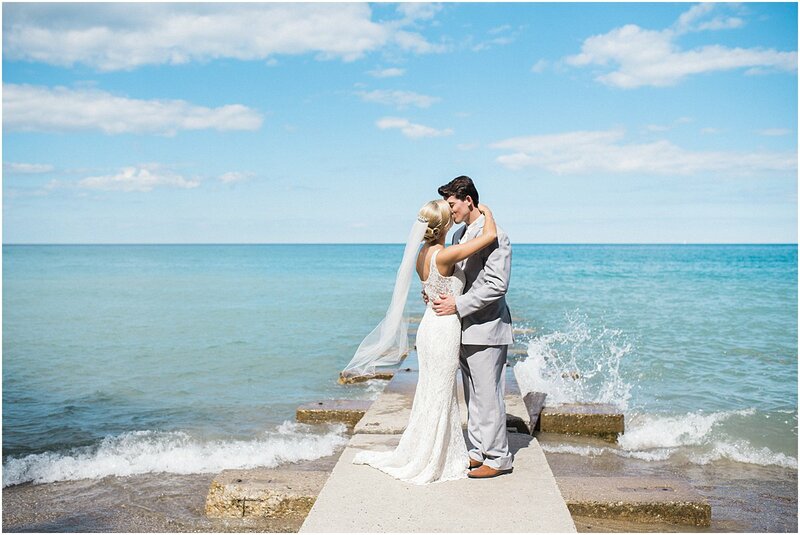 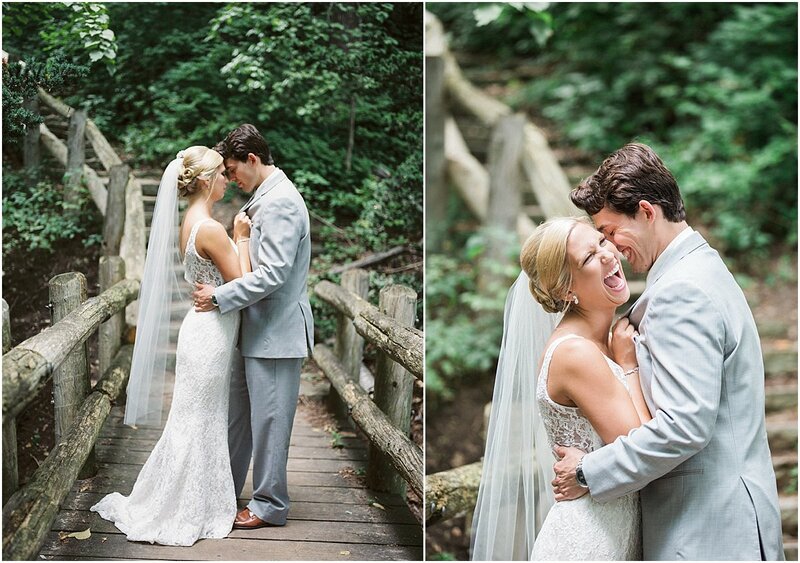 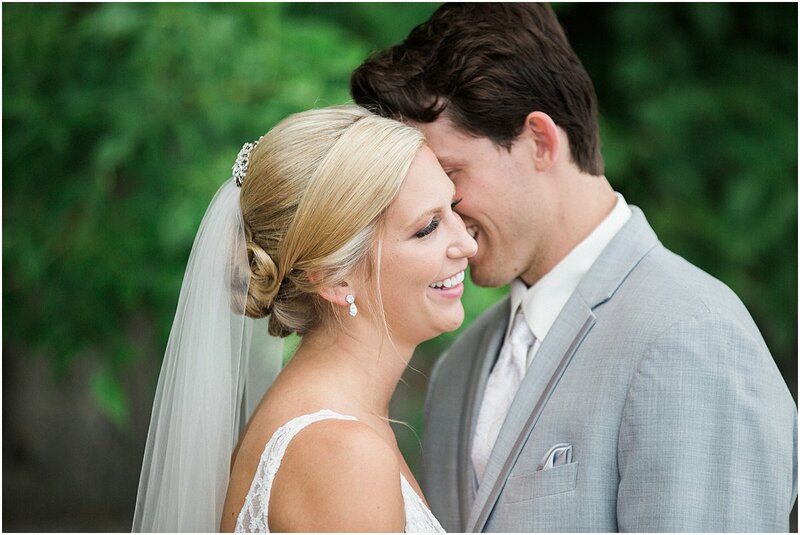 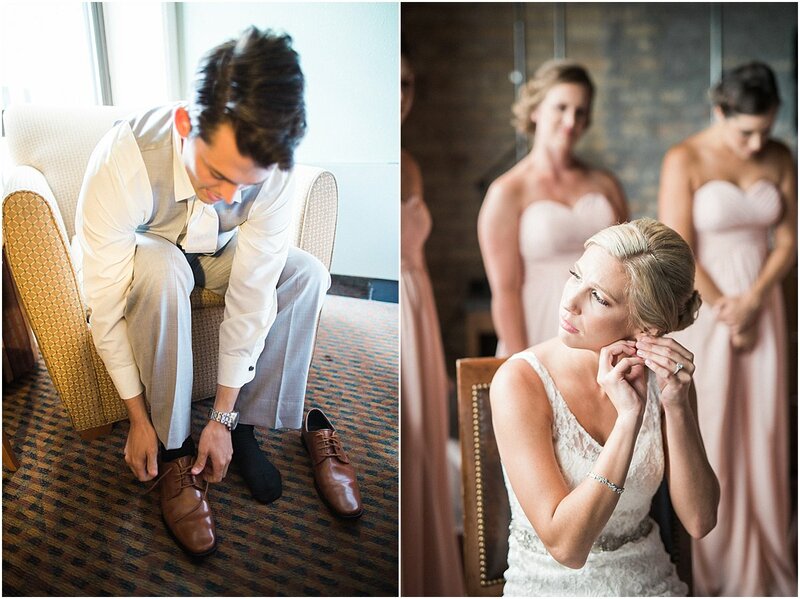 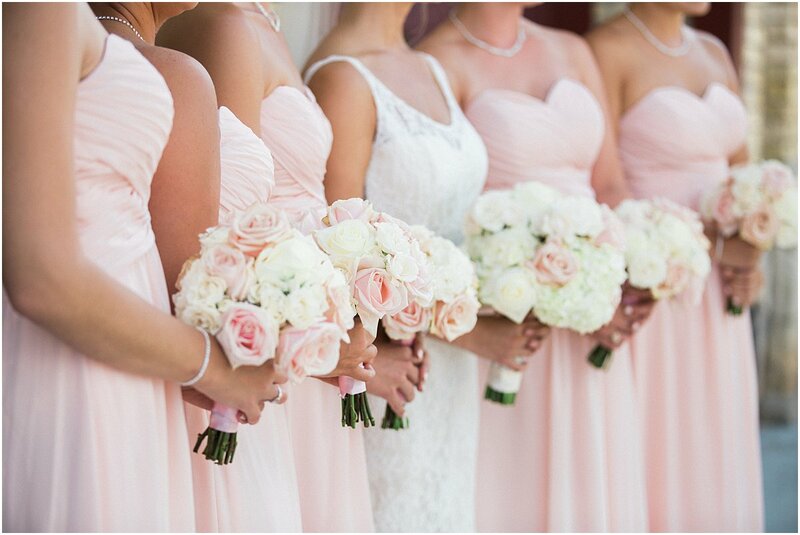 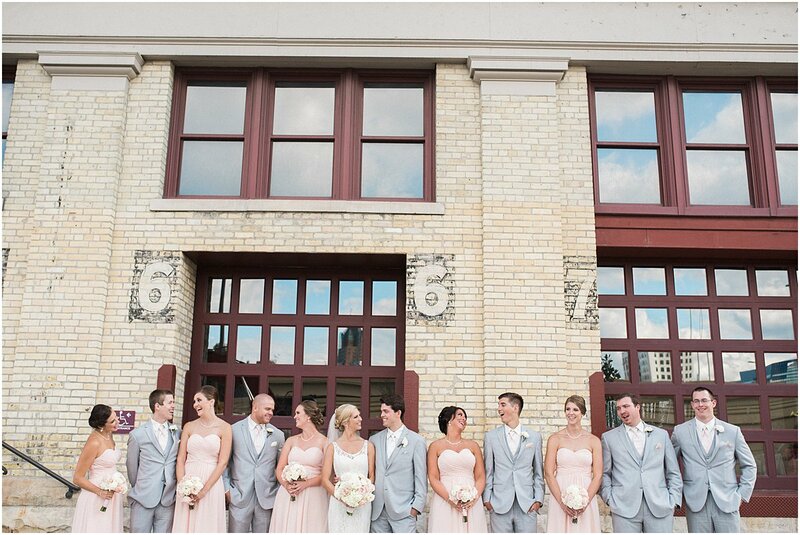 A beautiful summer day was the perfect backdrop for Kara and Jacob’s Milwaukee wedding. 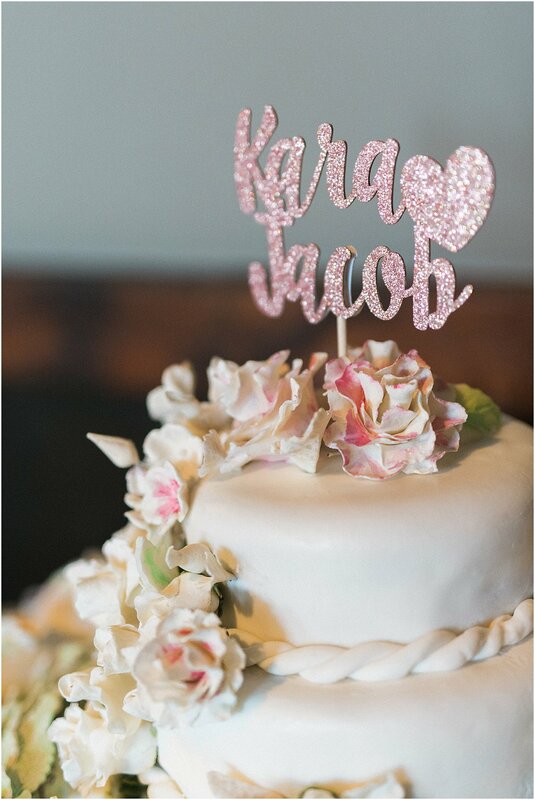 It was a day filled with fun and sparkle, much like Kara’s bubbly personality. 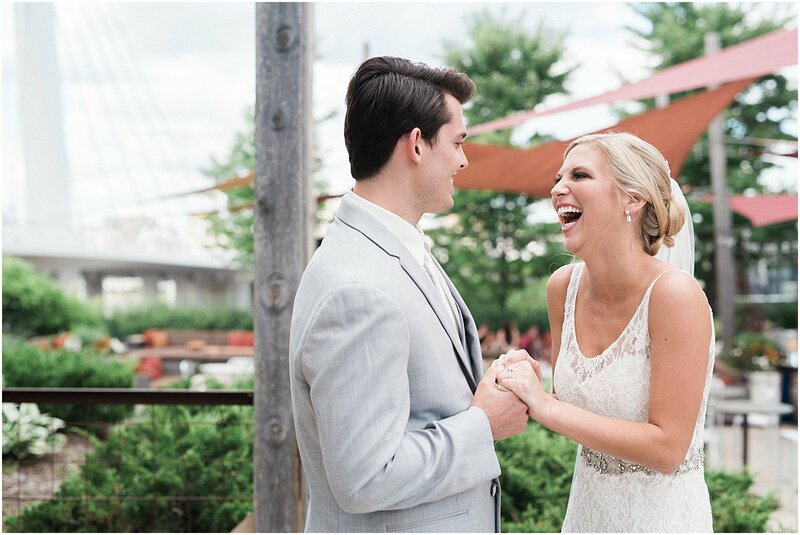 Friends and family spent the day smiling! 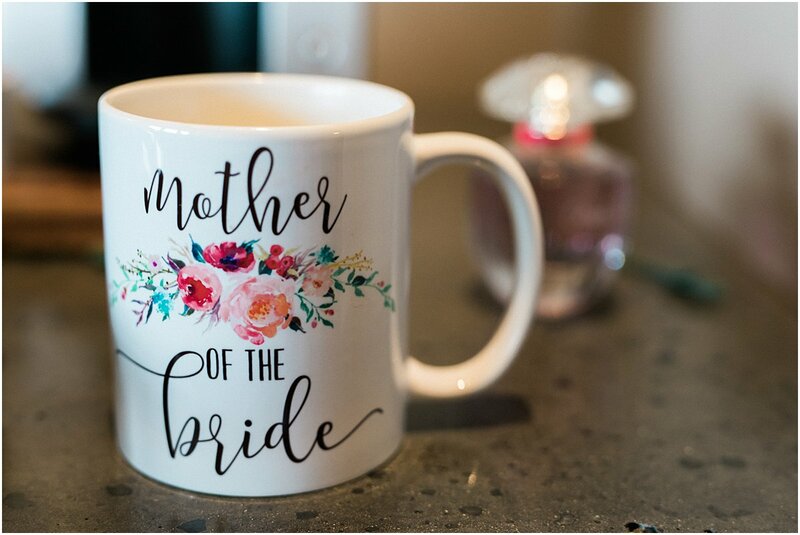 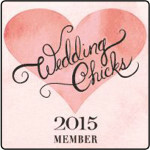 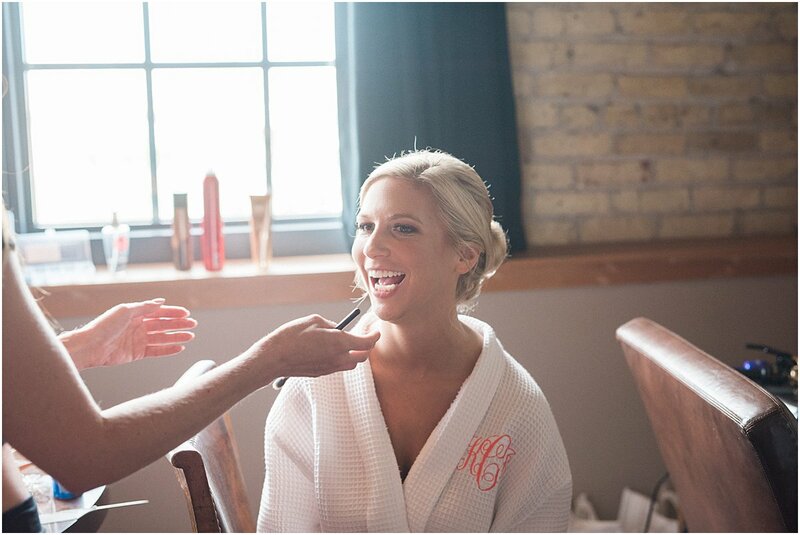 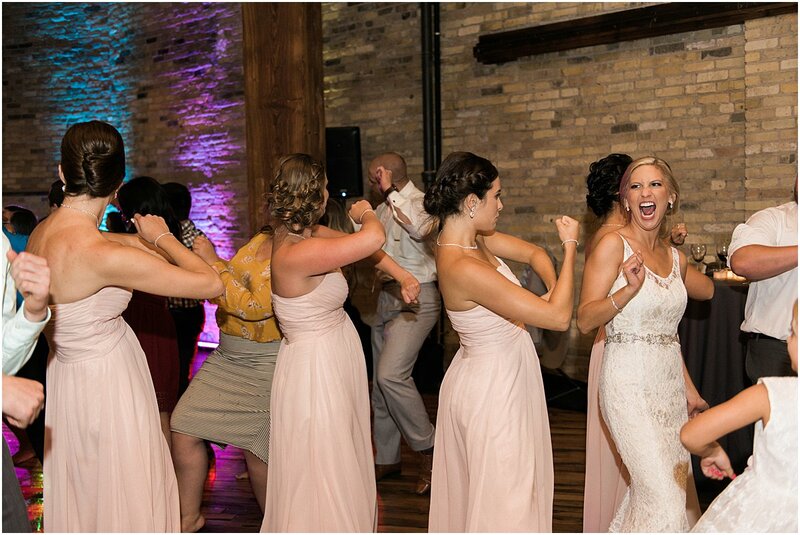 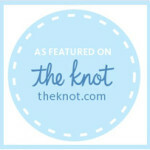 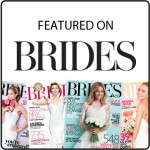 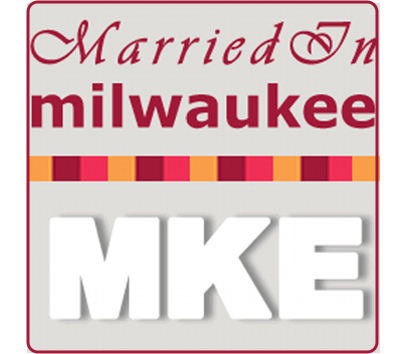 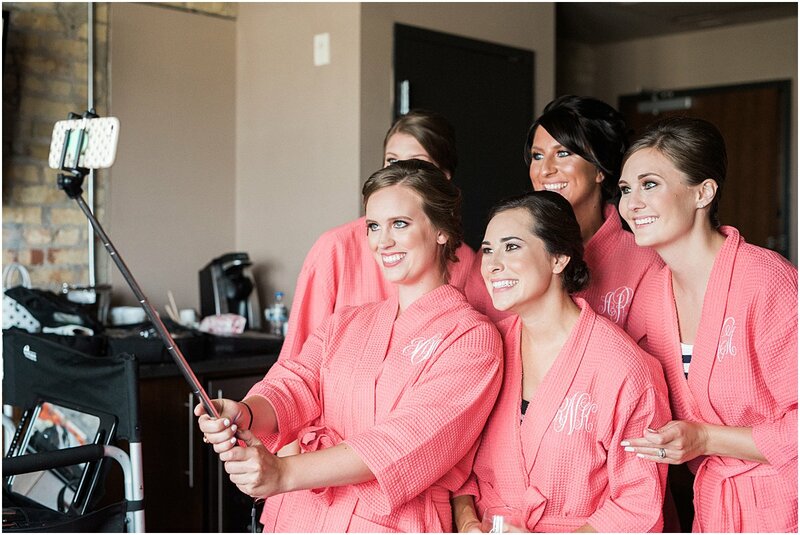 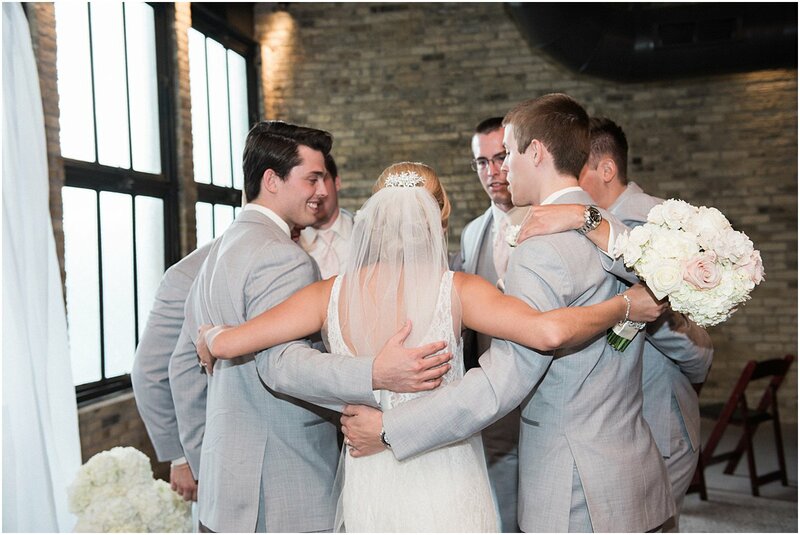 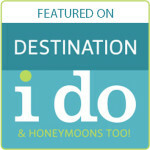 It was such a blast being their Milwaukee wedding planner! 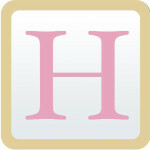 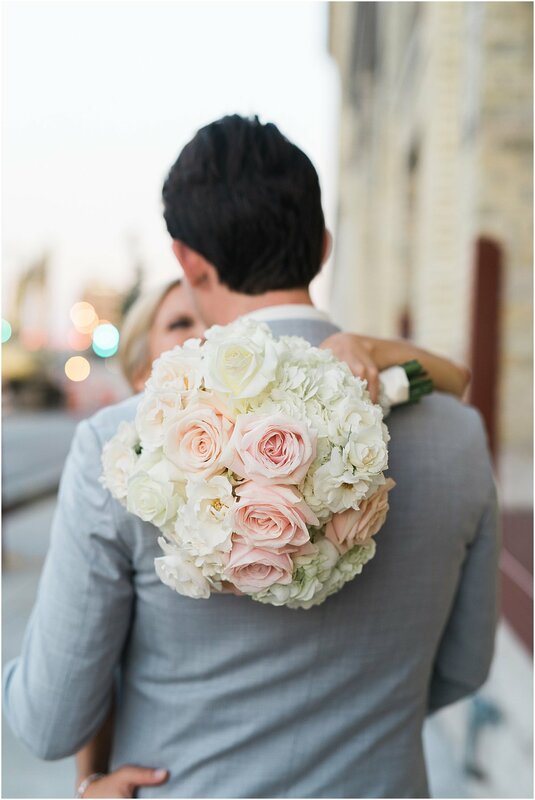 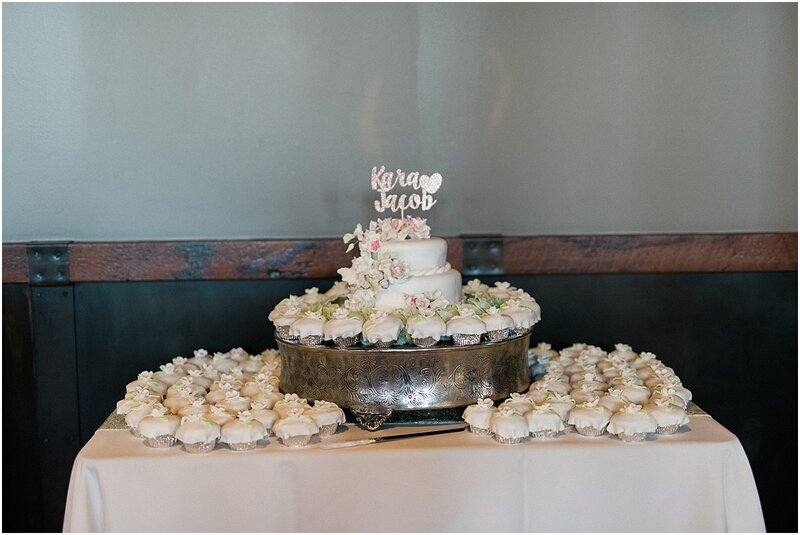 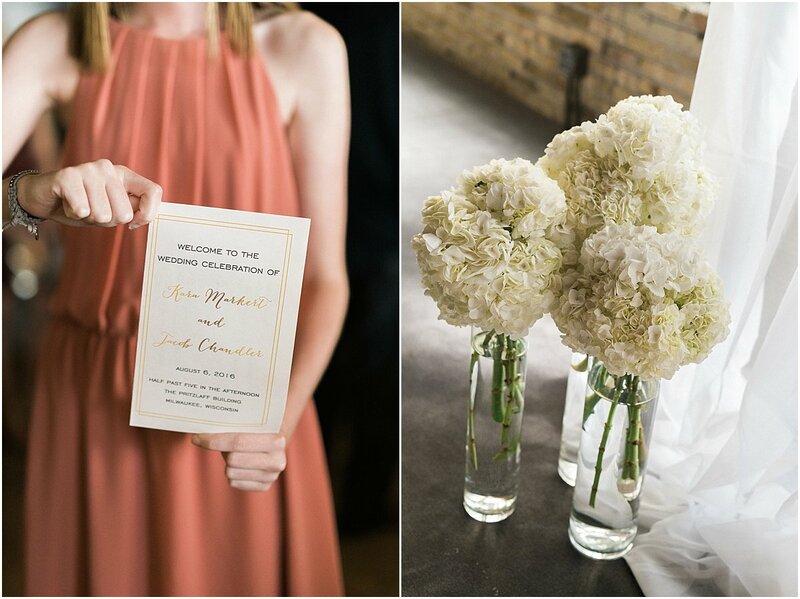 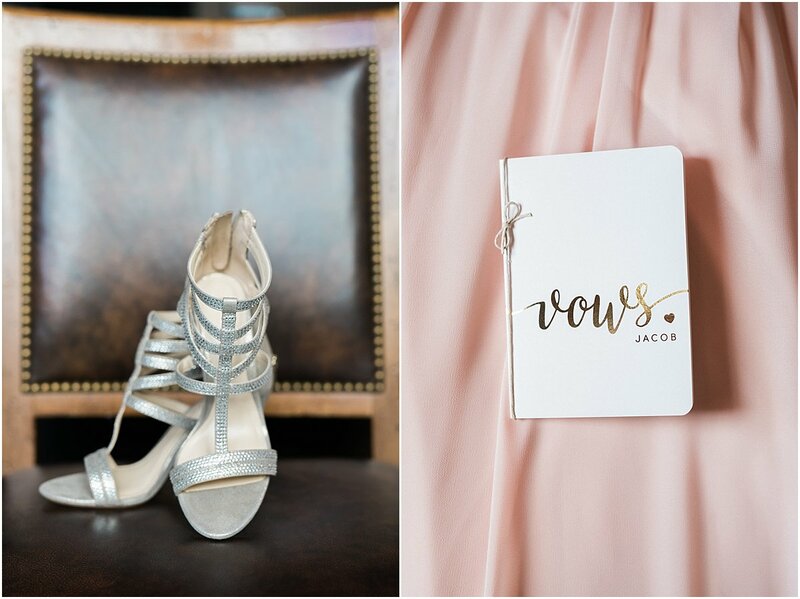 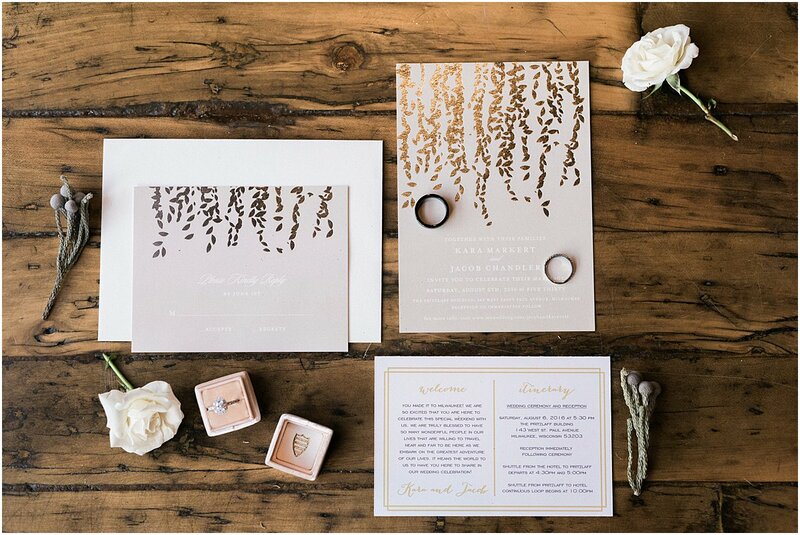 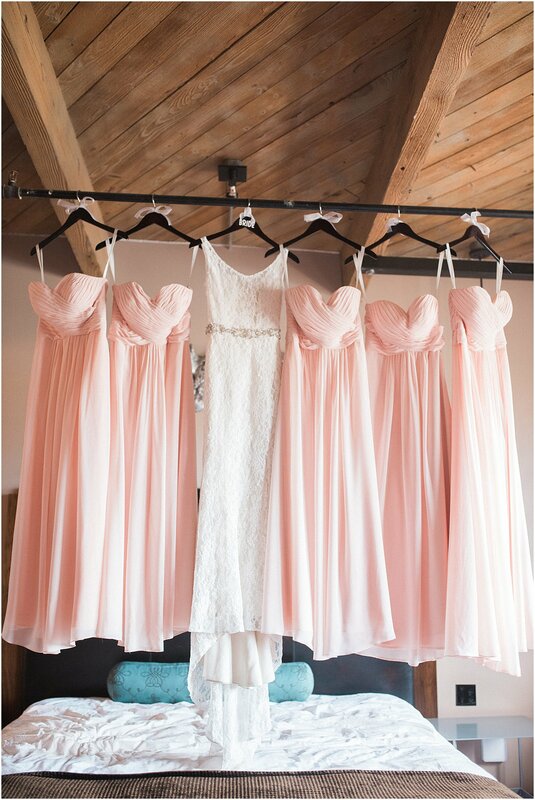 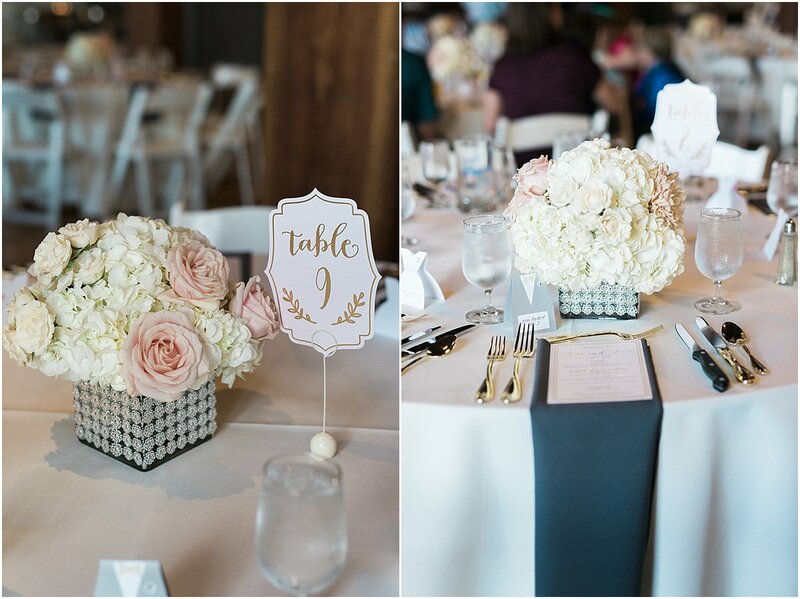 The color scheme of blush and white was accented with silver and gold metallics. 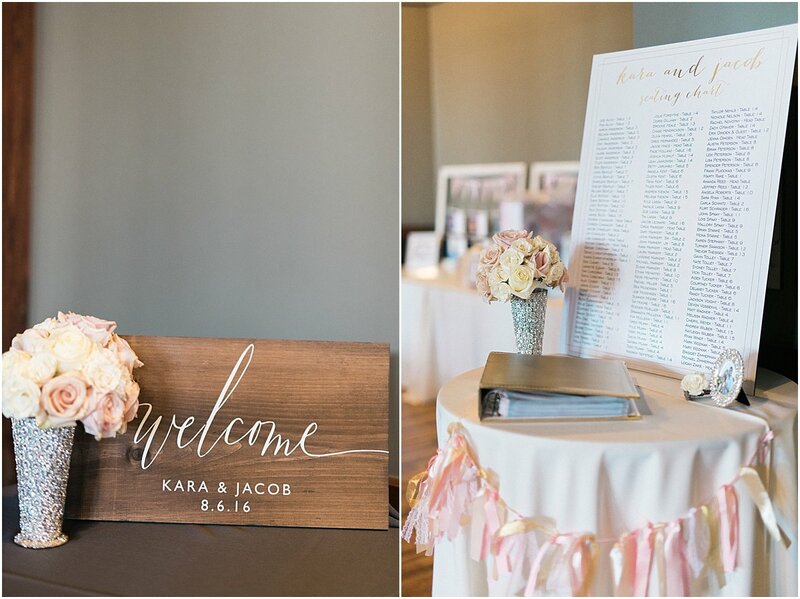 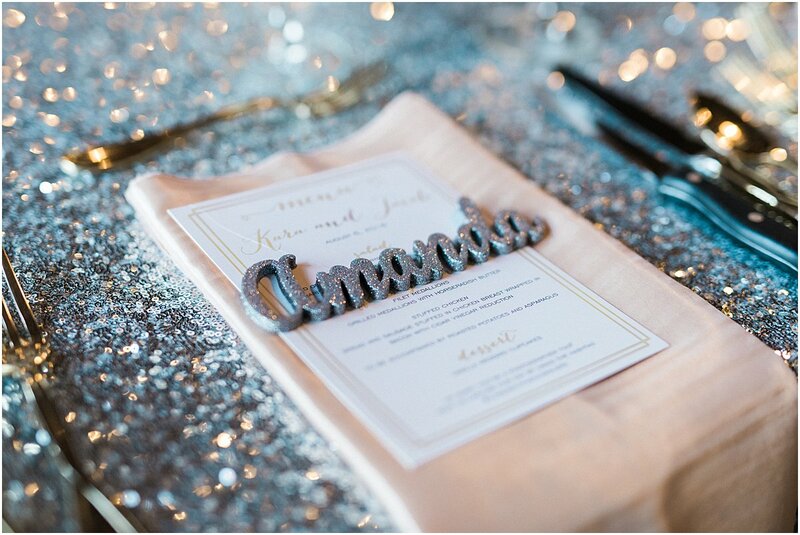 From the gold foil invitation suite to the bridal accessories to the head table to the centerpieces, everything sparkled! 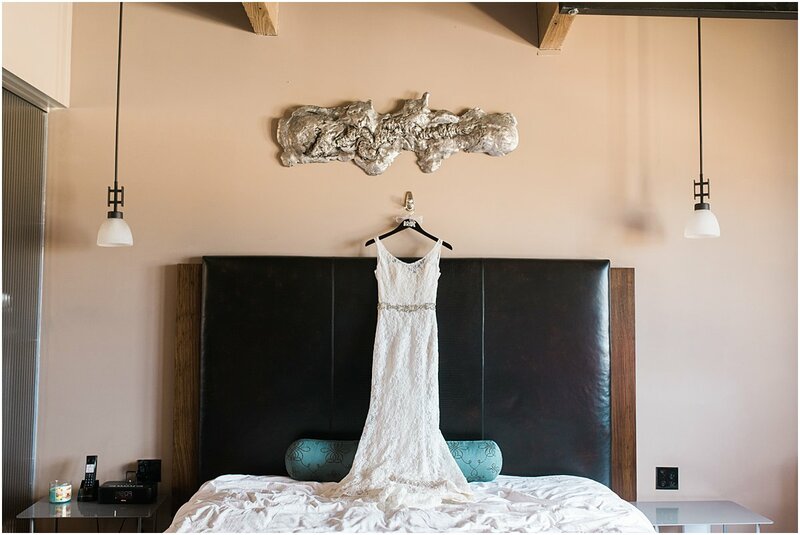 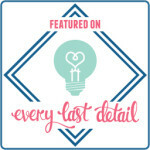 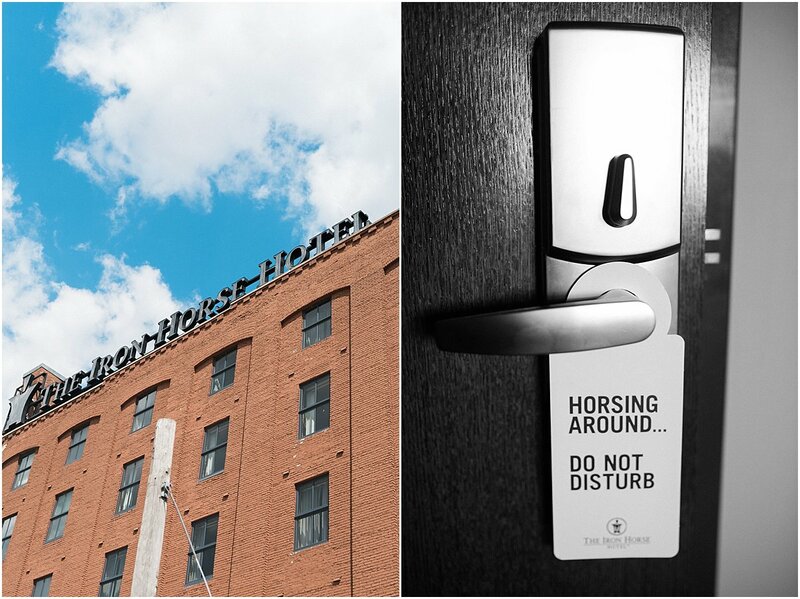 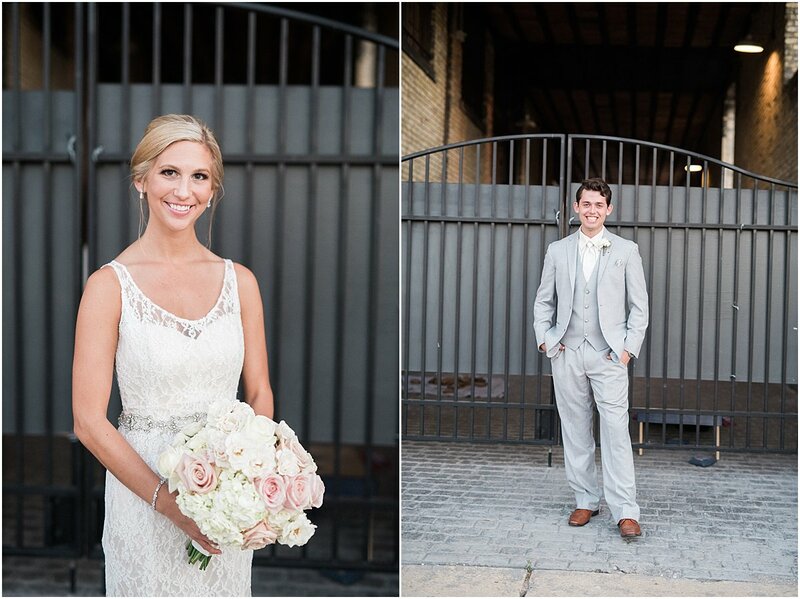 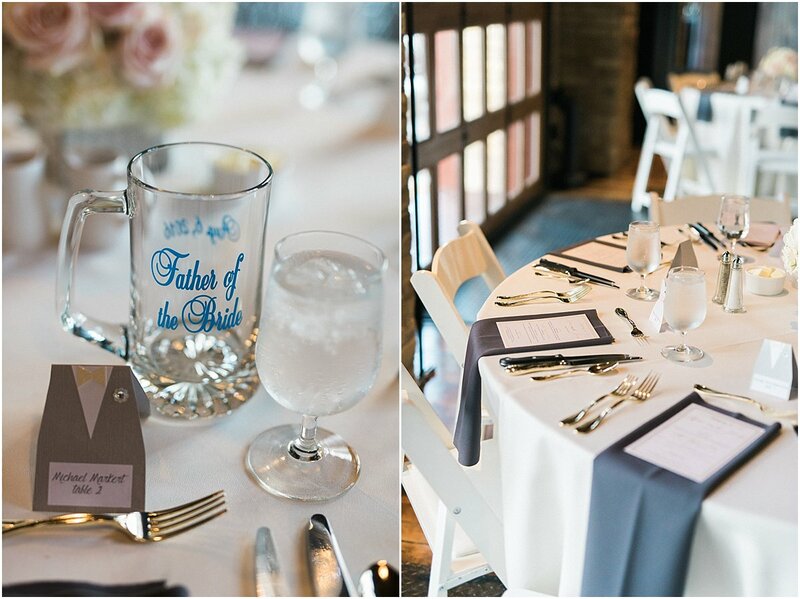 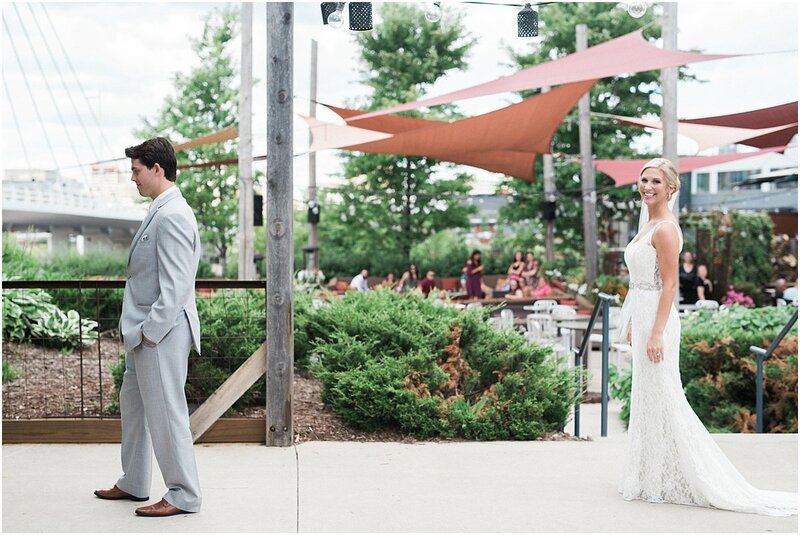 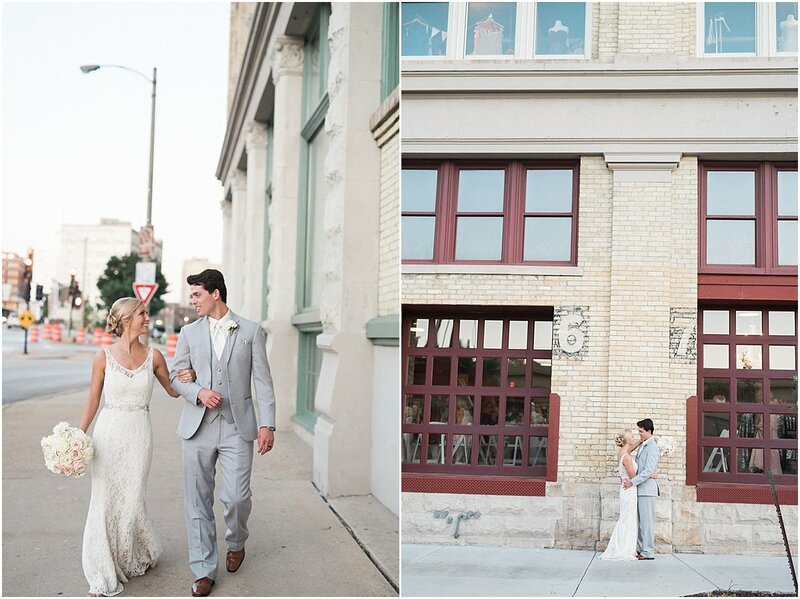 Kara and Jacob had their first look at the breathtaking Iron Horse Hotel. 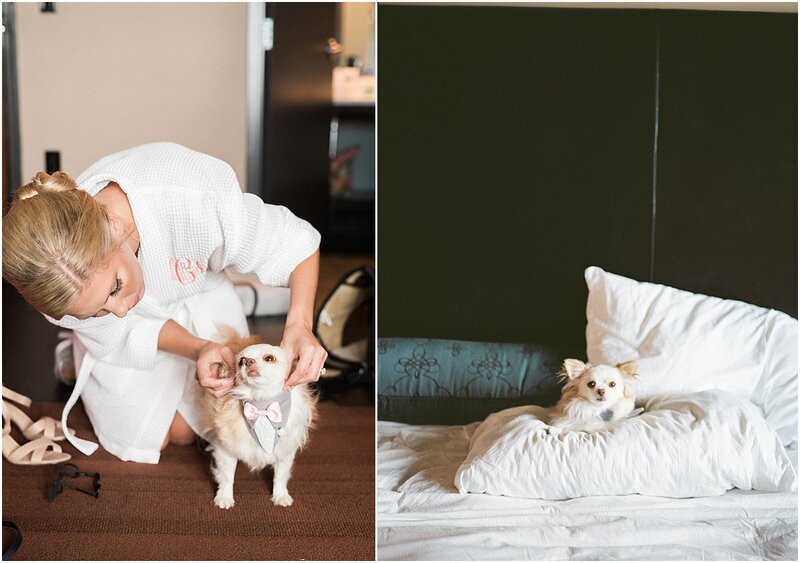 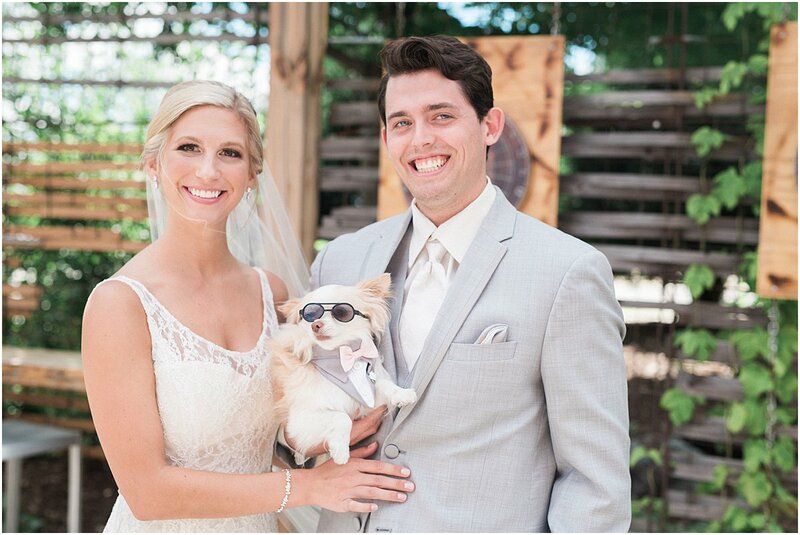 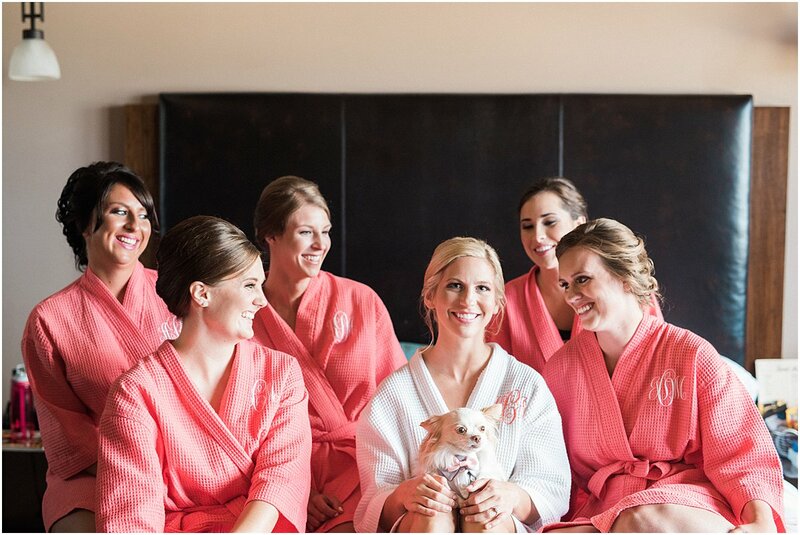 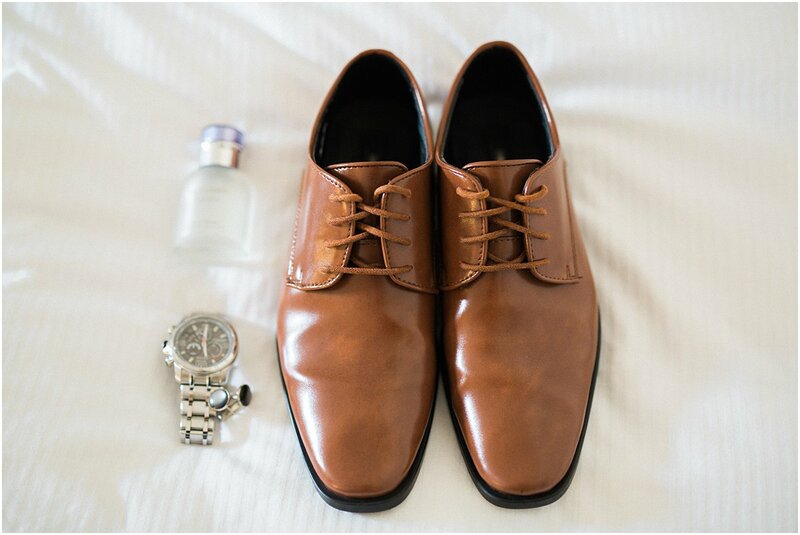 It’s a pet-friendly hotel that allowed them to have their fur baby be a part of the getting ready and first look photos. 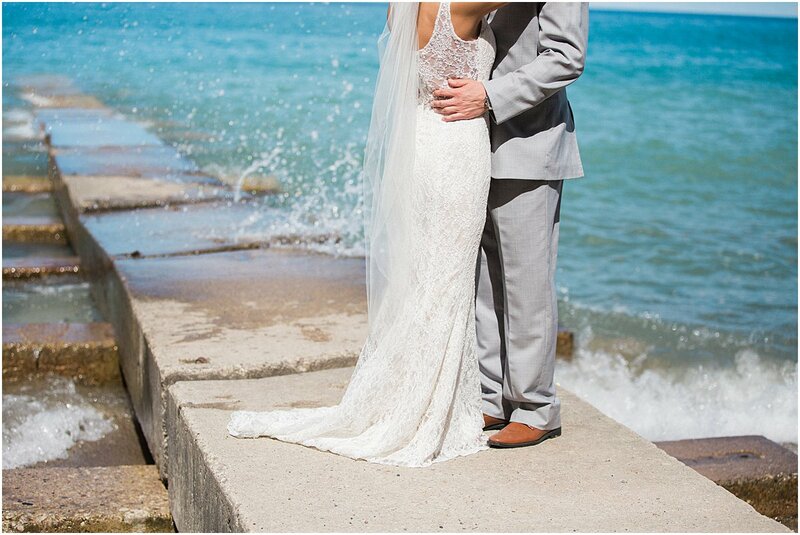 Being a beautiful summer day, the wedding party headed over to the shores of Lake Michigan for some great waterfront photos. 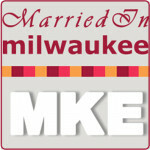 Doesn’t even look like Milwaukee! 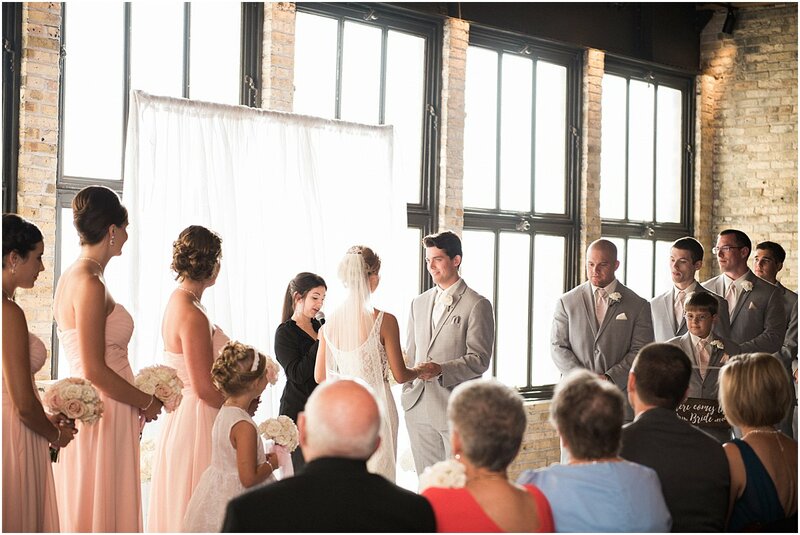 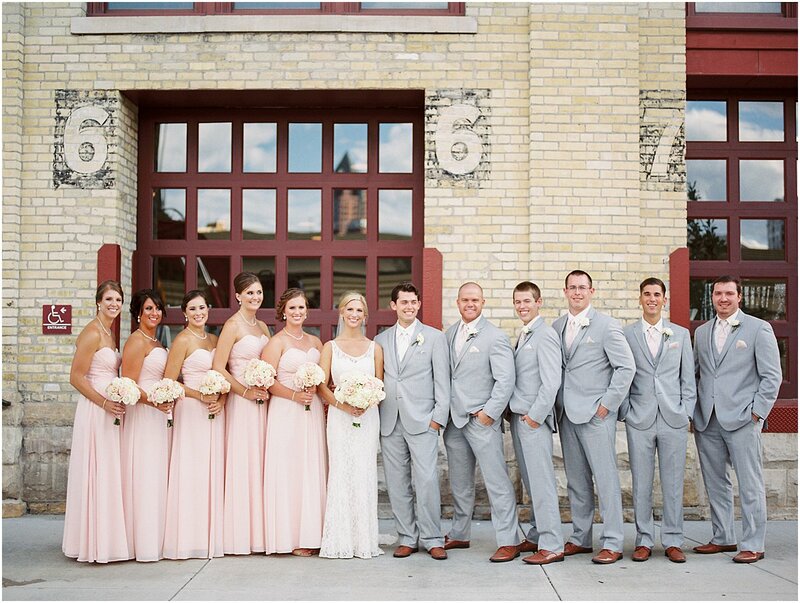 The wedding took place at the historic Pritzlaff Building in downtown Milwaukee. 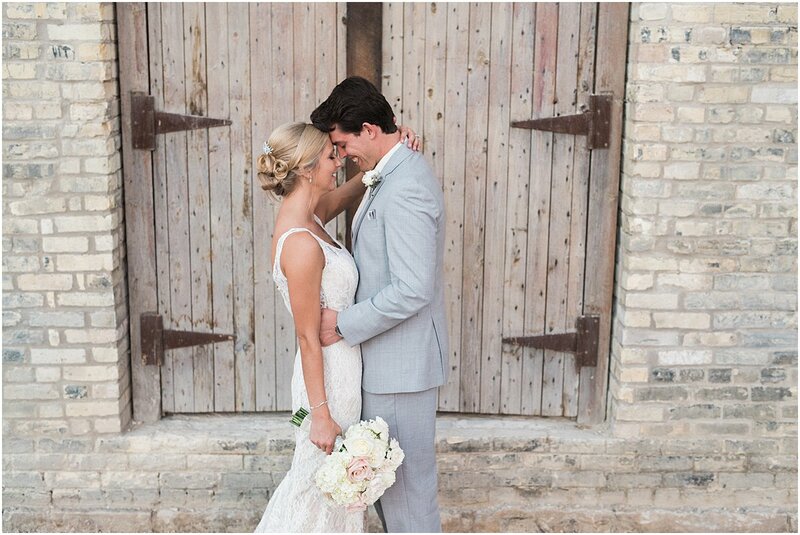 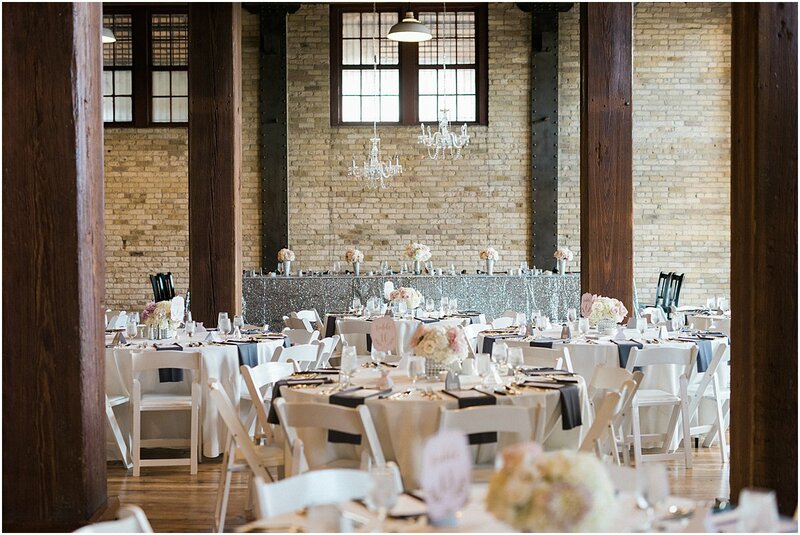 This cream city brick building has been a part of the Milwaukee cityscape for decades as a shipping warehouse, but is now one of the most popular wedding venues in Milwaukee. 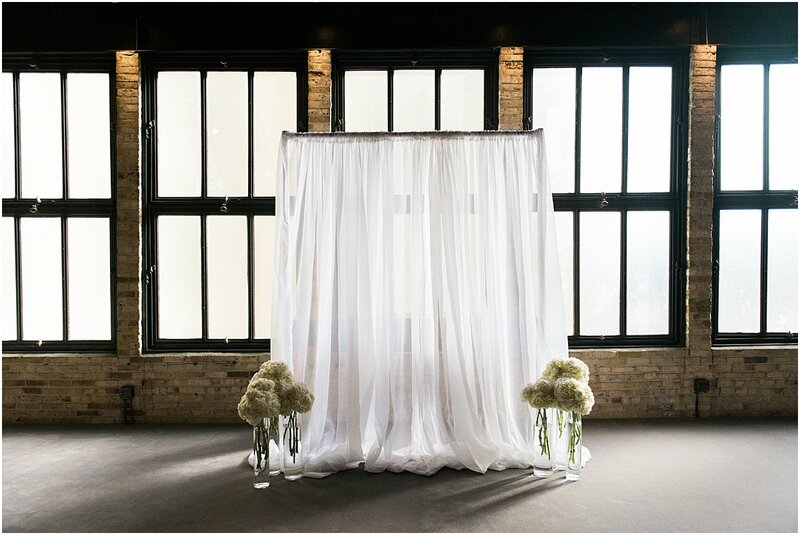 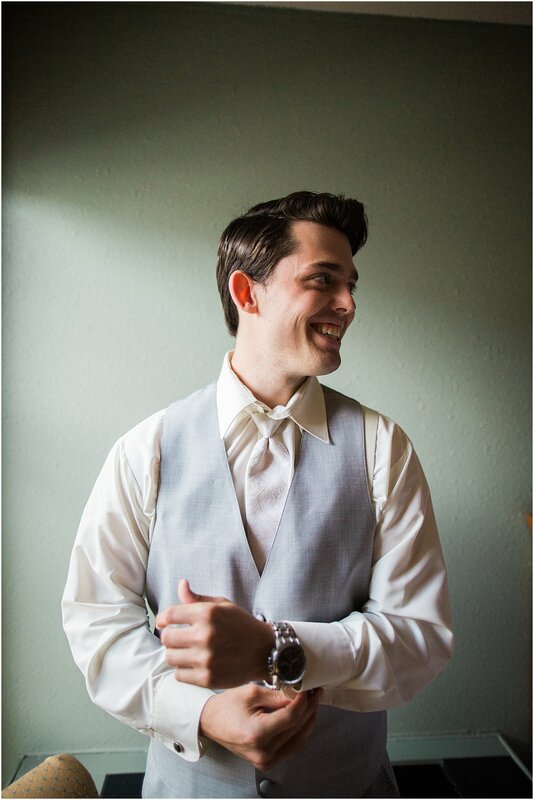 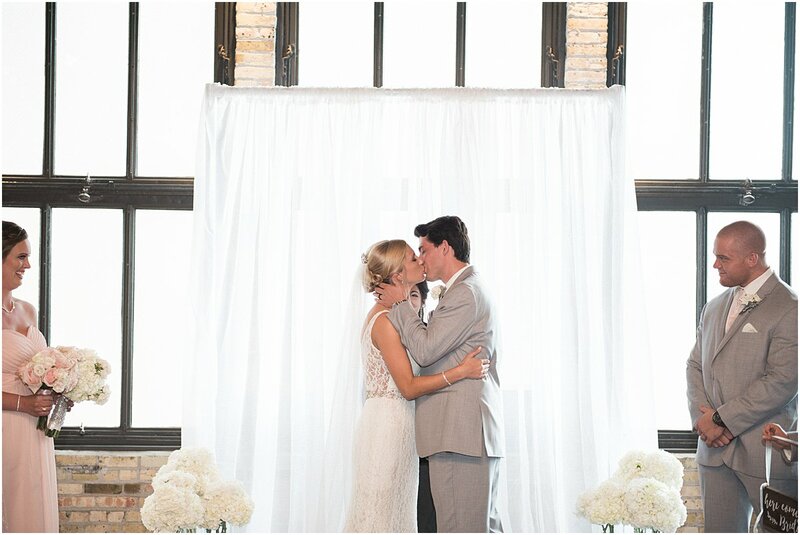 A billowy white backdrop kept the ceremony elegant and simple, keeping the focus on the love shared between the couple. 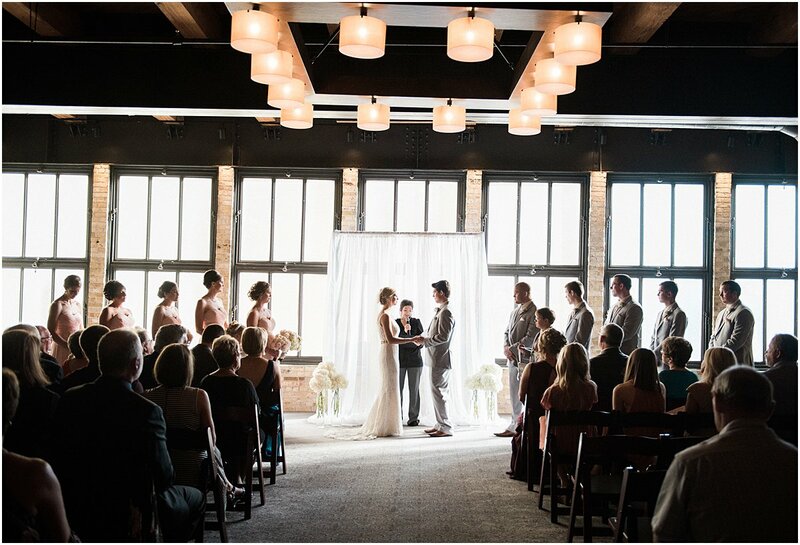 After the ceremony, guests headed downstairs to the reception where they were greeted by a gorgeous space. 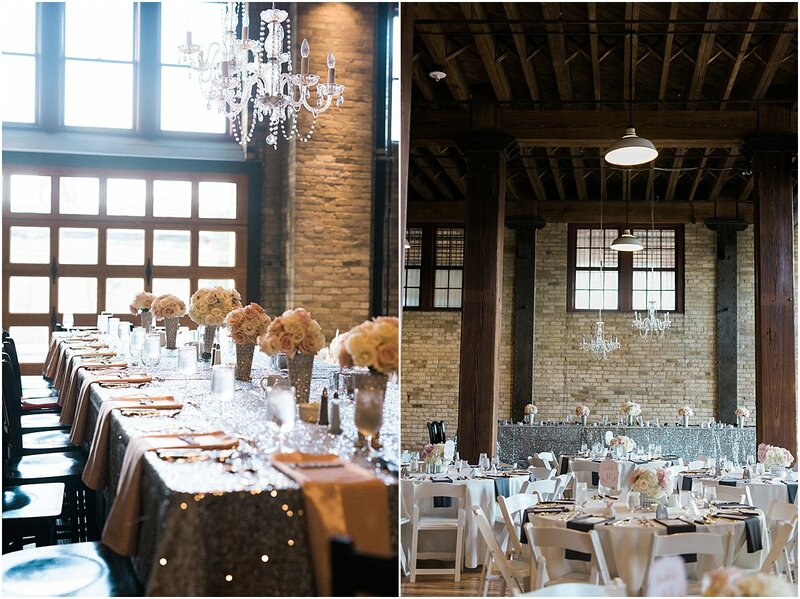 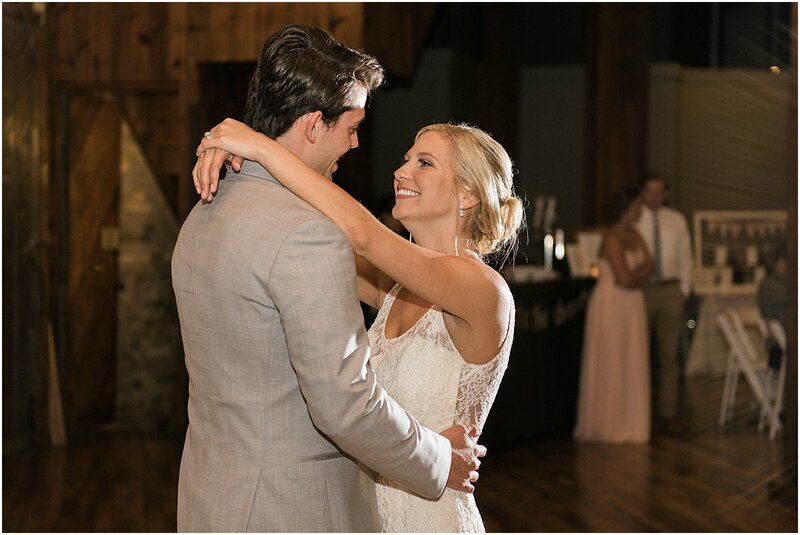 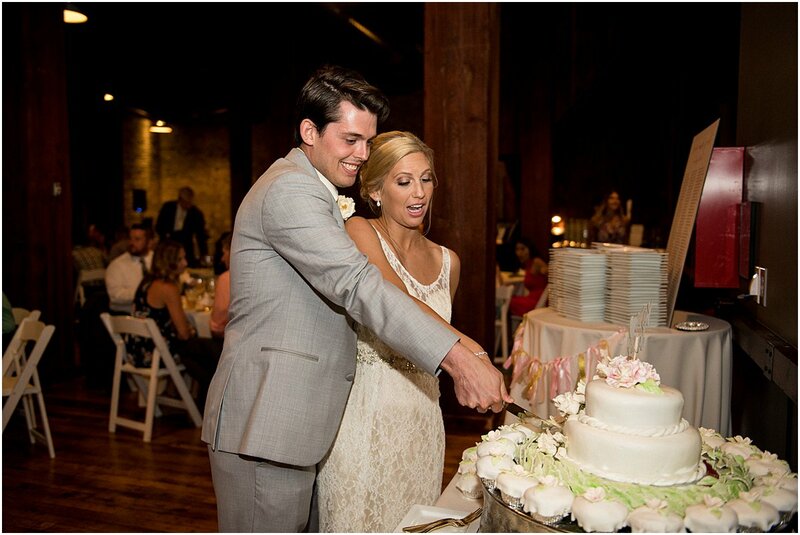 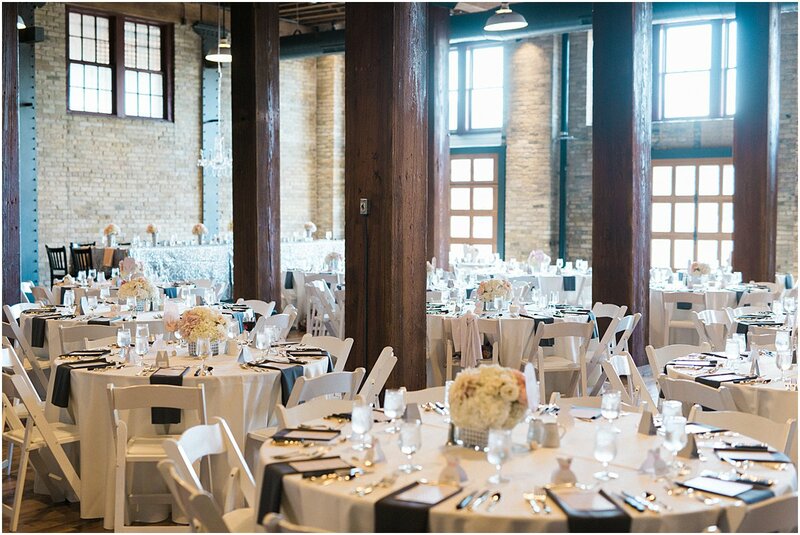 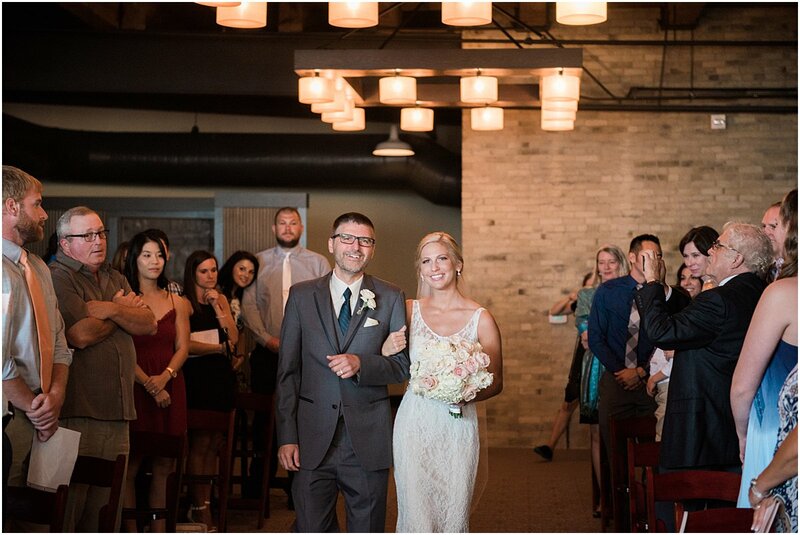 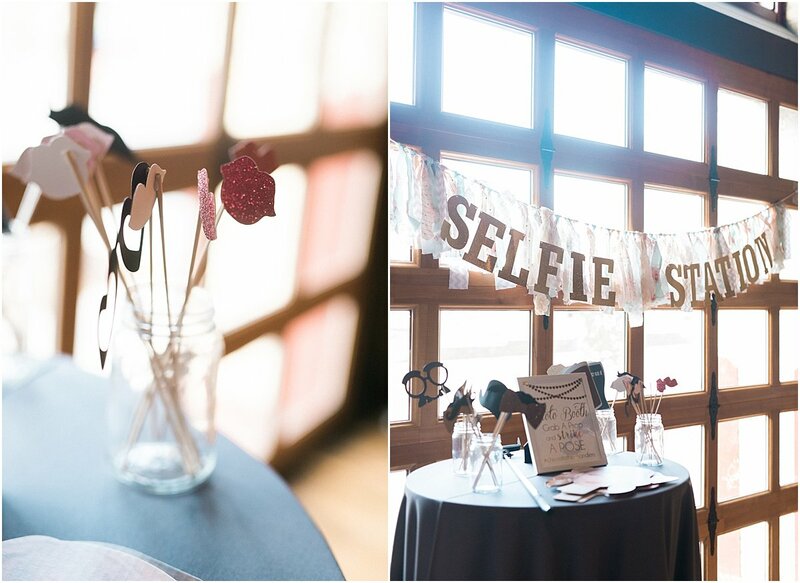 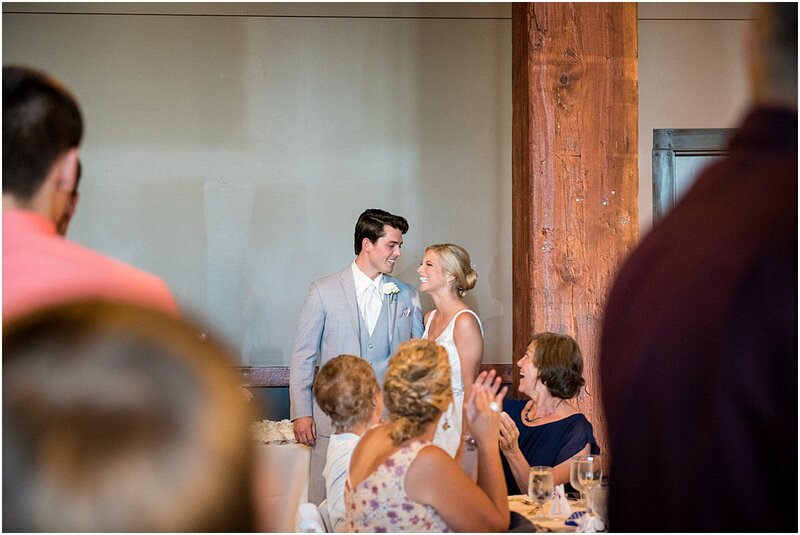 With the cream city brick and wooden beams, the Pritzlaff Building was the perfect space to add a sparkle. 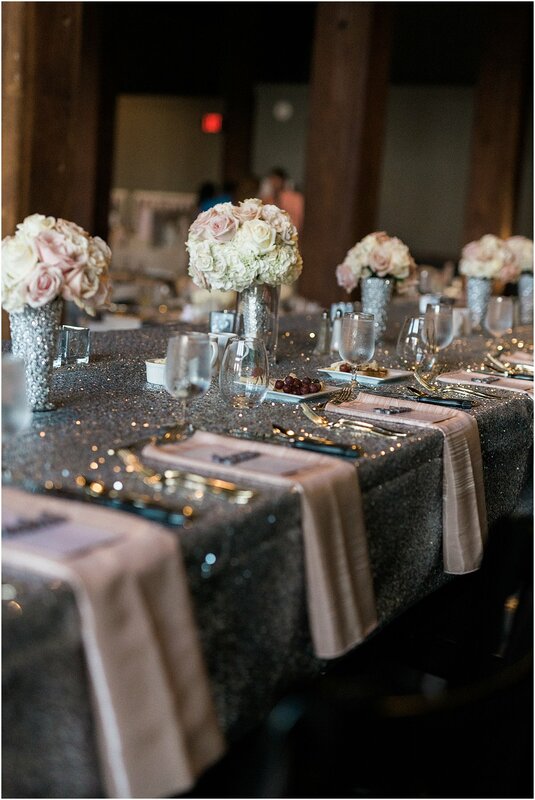 The focus of the room was the elevated head table with its silver, sequin linen and gorgeous chandeliers. 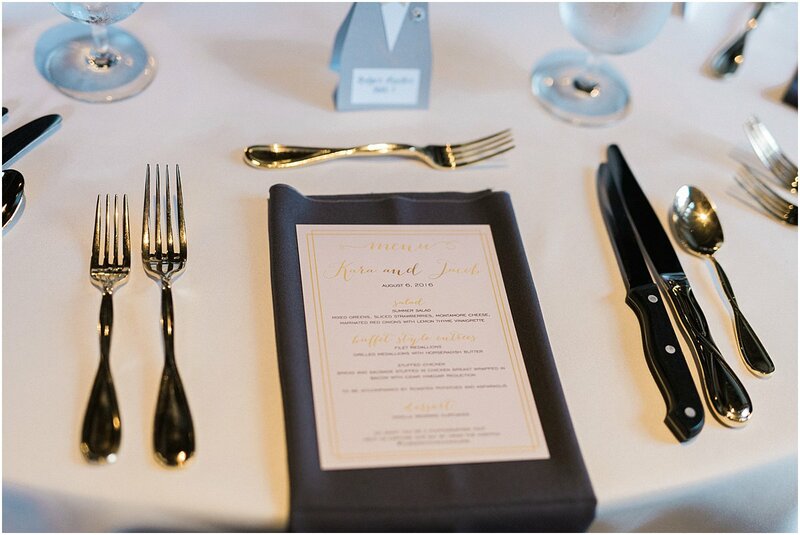 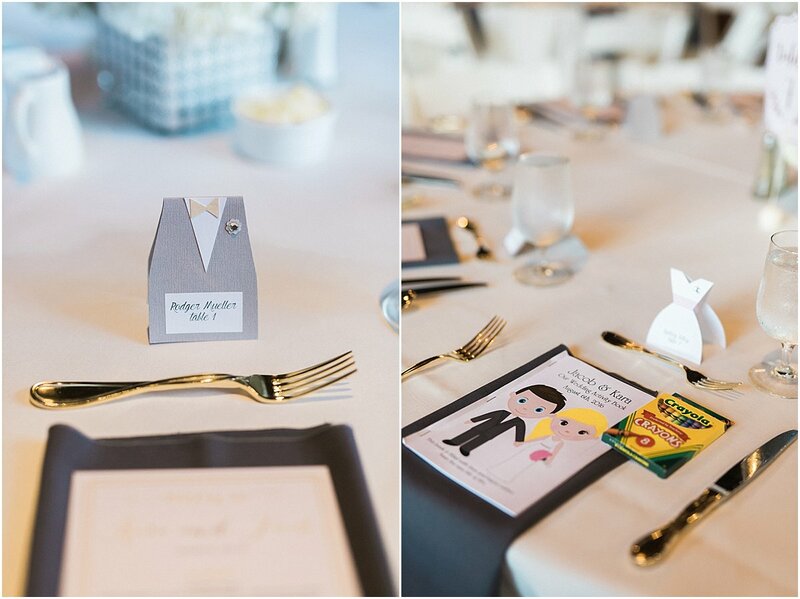 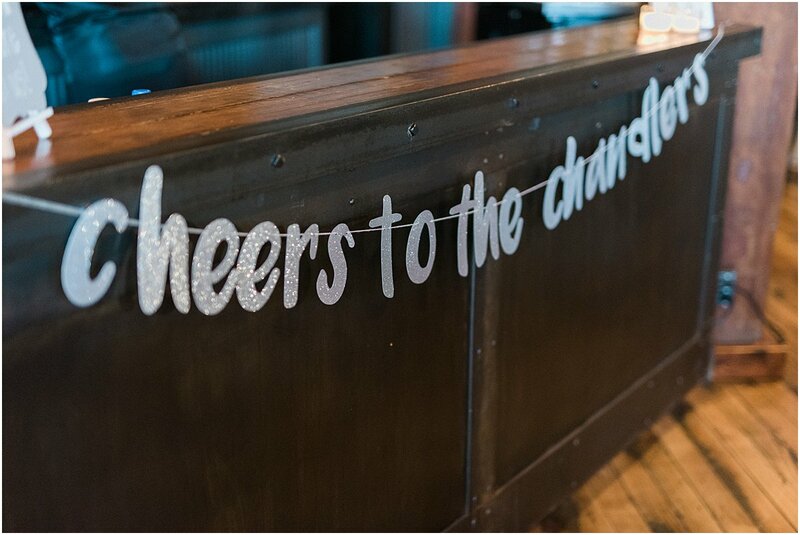 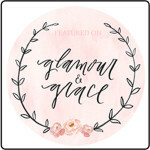 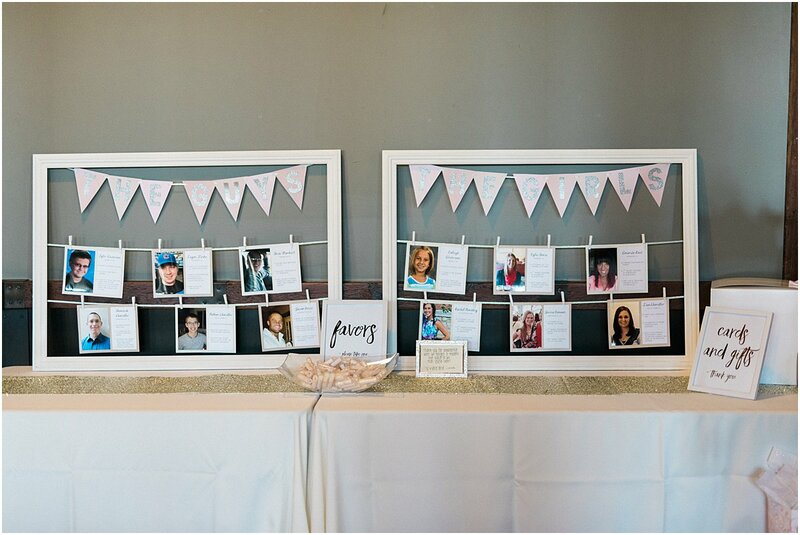 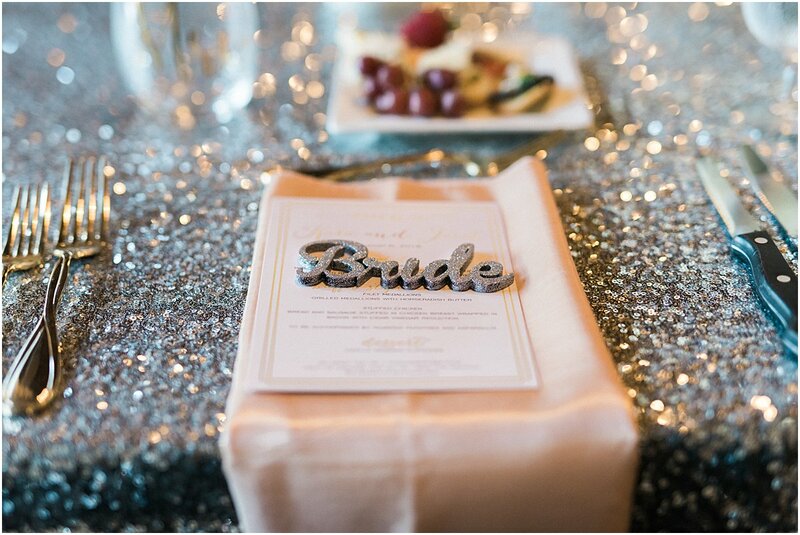 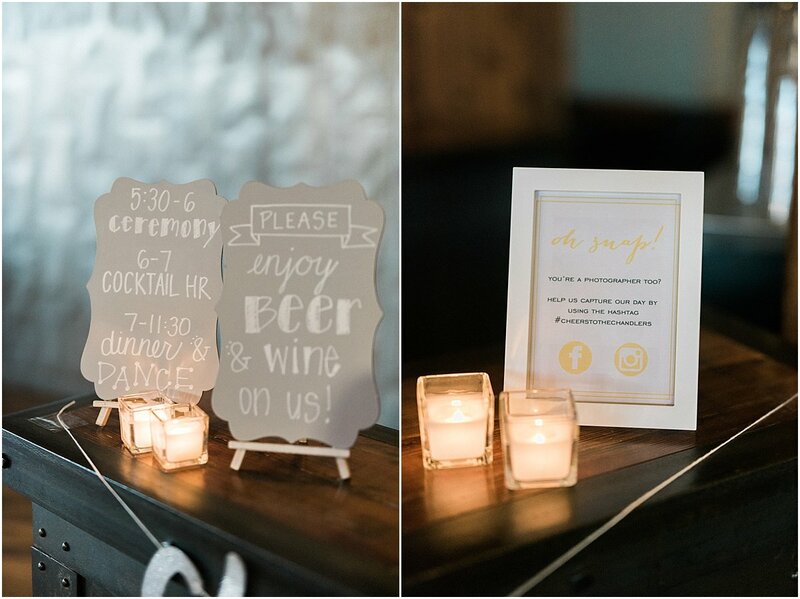 Each place setting was adorned with a customized glitter name cut out and menu card. 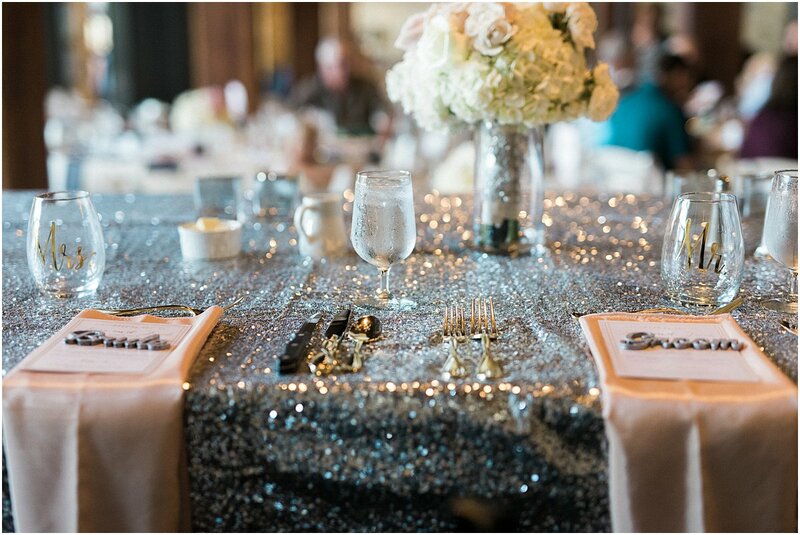 Even the centerpieces sparkled! 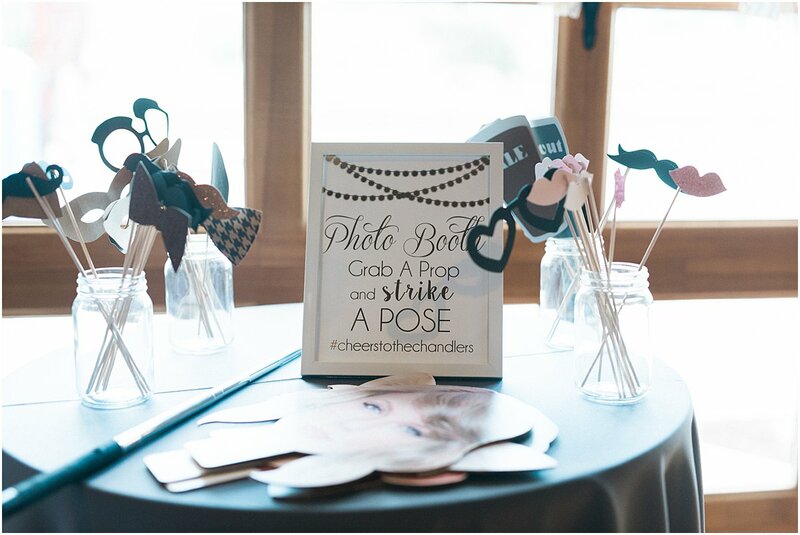 They opted for a DJ and selfie station to entertain their guests for the evening. 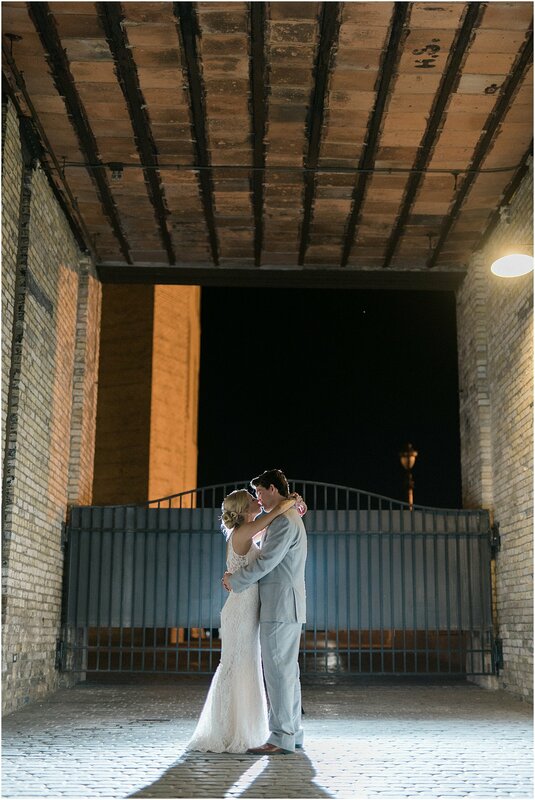 It was truly a fun night! 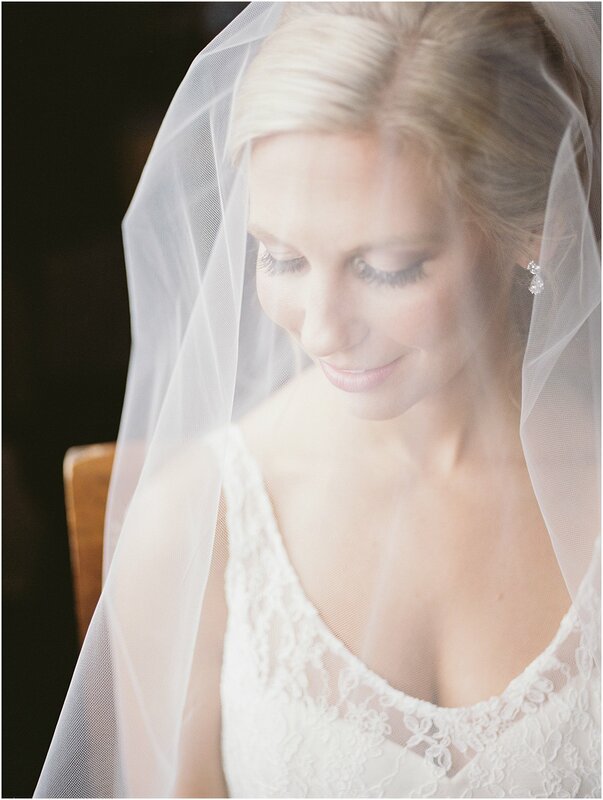 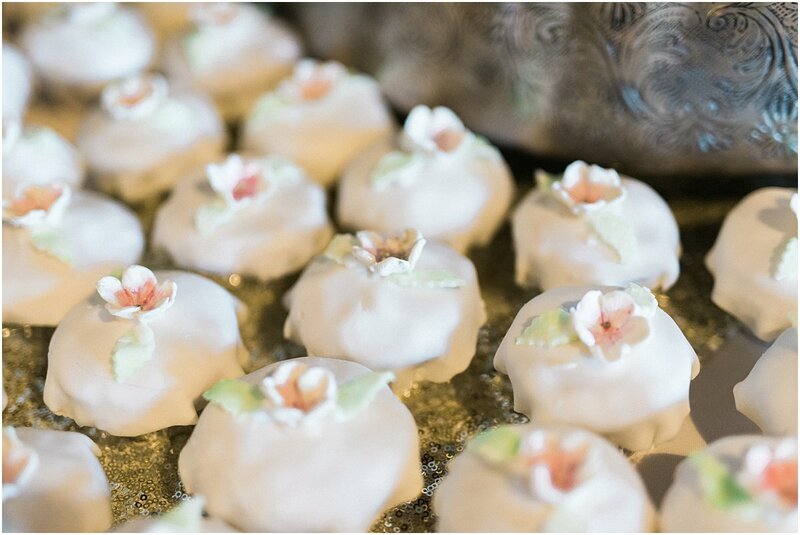 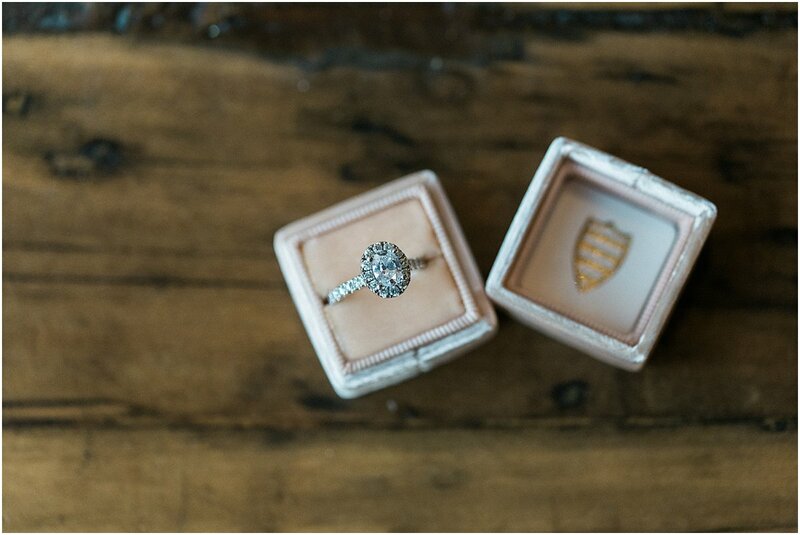 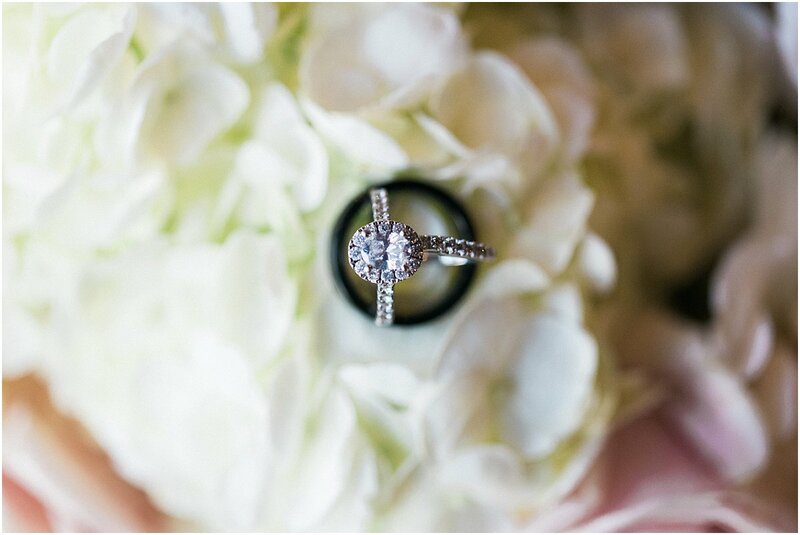 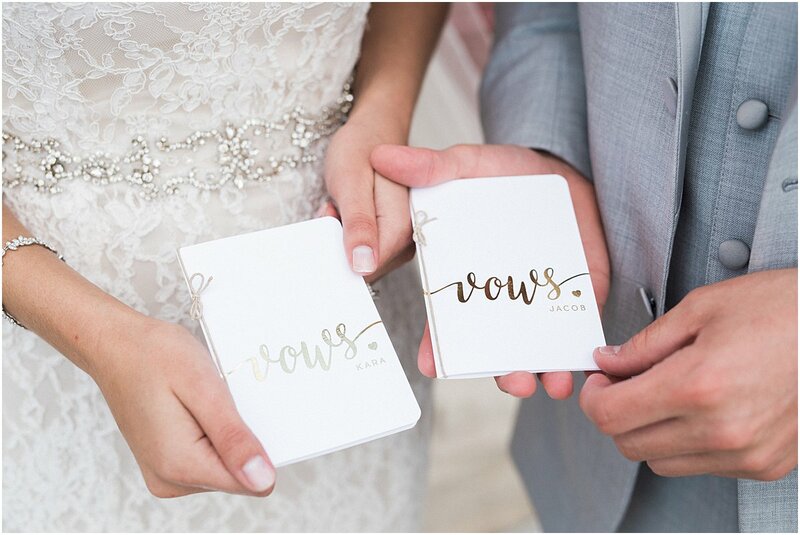 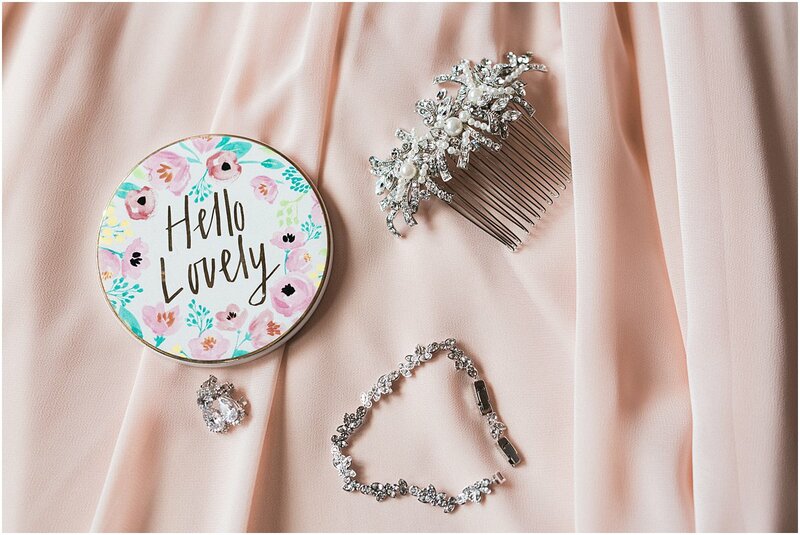 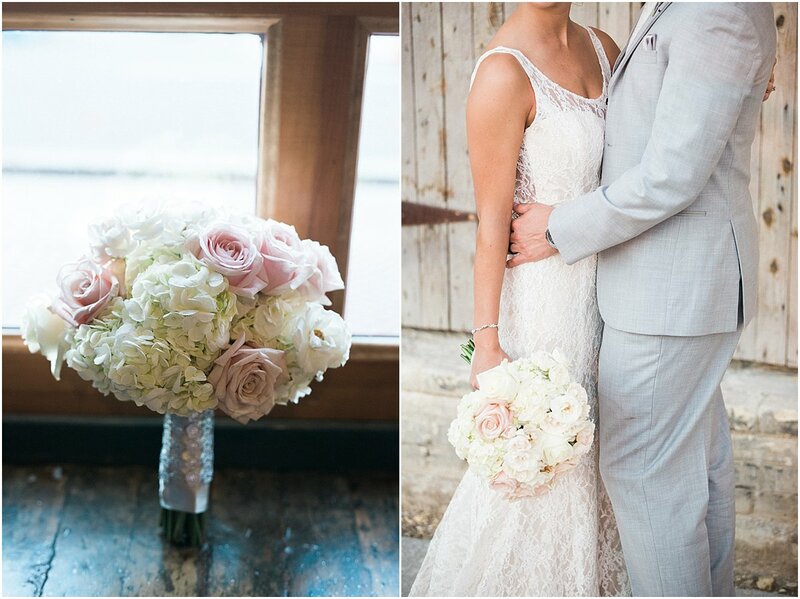 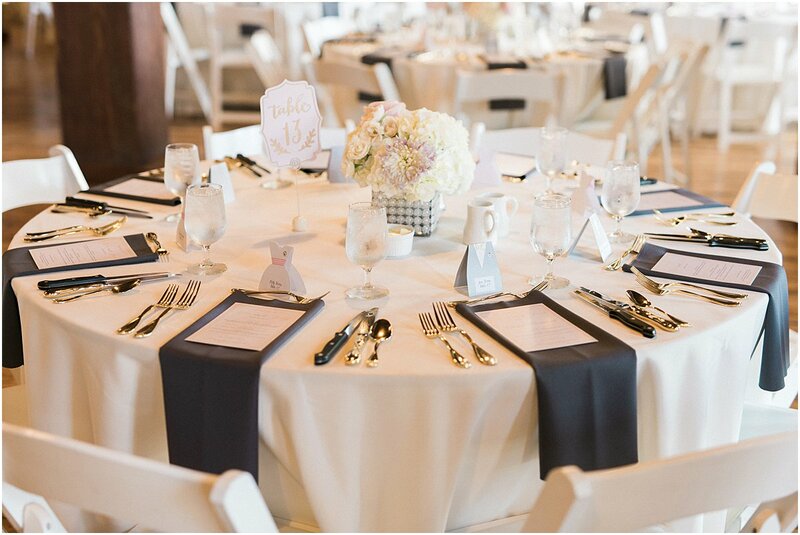 Every aspect of this elegant and sparkle-filled wedding was captured perfectly in digital and film Elizabeth Haase Photography.